It's a battle today, a beauty battle, and you don't even need pay-per-view to get in on the action. It's a This vs That battle of SPF primers. I've had the idea for This vs That for a while, and it just so happens I finally have two products that are perfectly suited to battle it out. Both of today's product have a silky primer type finish on skin, are lightly tinted, and offer a high SPF. Which will reign victorious? Read on to find out. 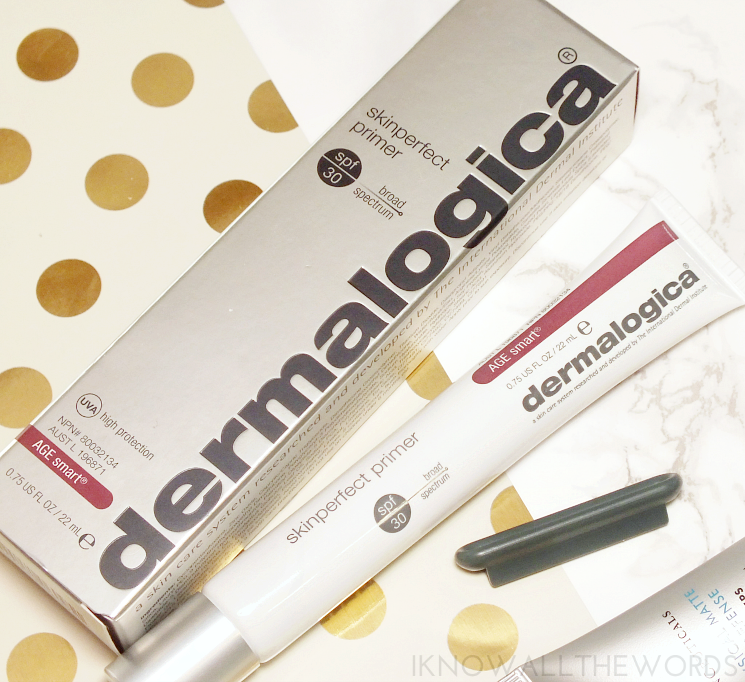 Up first, a gem of a product from Dermalogica. 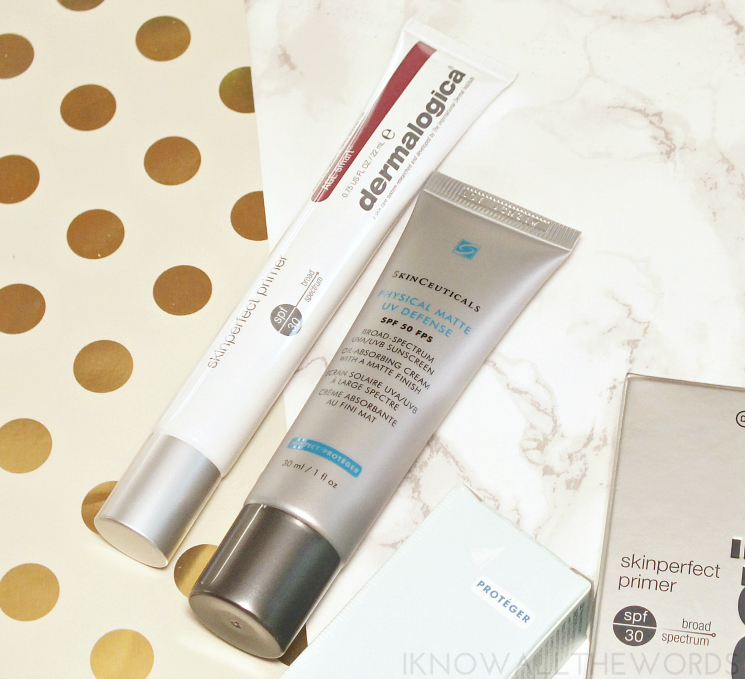 You may remember the the Dermalogica Hydrablur Primer (which I LOVE), well, it's got competition in the new Age Smart Skinperfect Primer SPF 30. The formulas are very similar, in that they offer up a silky smooth base for makeup, but Skinperfect Primer takes it to another level with SPF 30. The primer utilizes Titanium Dioxide and Zinc Oxide, which are physical sunscreens (as oppose to chemical) for broad spectrum UVA and UVB protection without any chalky, whitening, or drying effects. The primer has a sheer, neutral tint to brighten and add radiance to skin thanks to the crushed pearl powder. 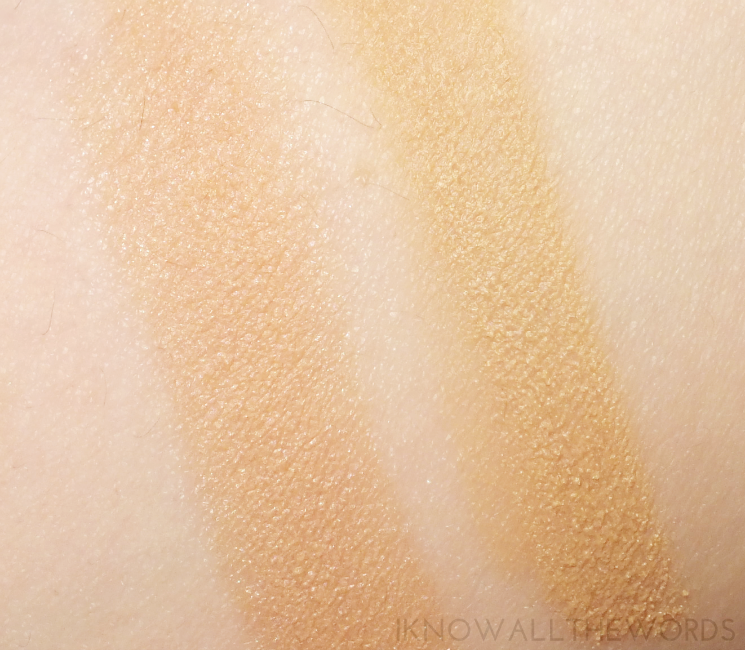 The hint of tint and glow is quite subtle once blended out, but very nice when paired with light foundations or BB/CC creams (my summer go-tos.) As Dermalogica is know for skincare, this also has an anti-aging spin with the inclusion of ingredients to fight skin aging including peptides and their blend of AGE Smart actives to help firm skin and shield against free radical damage. Bonus- Dermalogica includes a tube ringer so you can get every last drop from the tube. A very impressive addition, if you ask me. 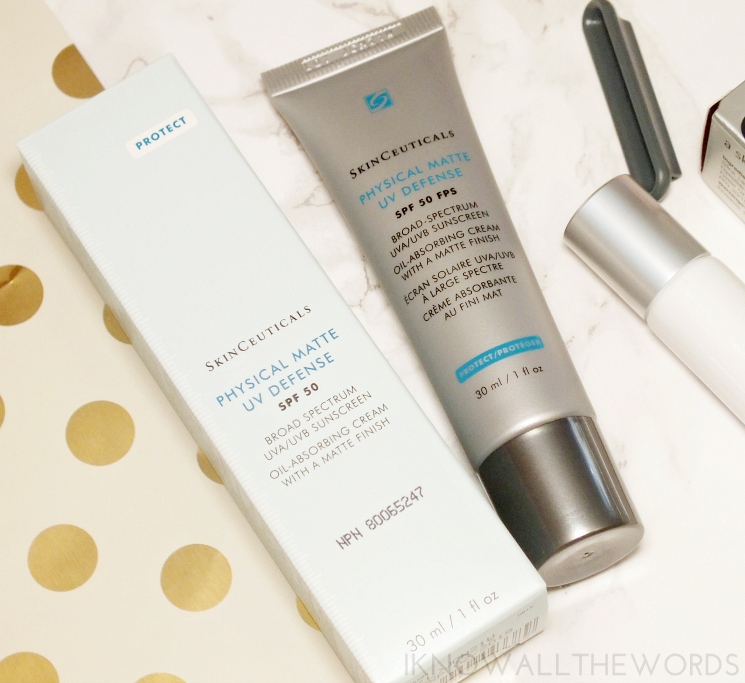 Dermalogica has a heavy hitter in this fight, but if any product stands a chance at beating it, it's the SkinCeuticals Physical Matte UV Defense SPF 50. While this may not officially have primer in the name, it has all the properties of one with the added SPF built in. The Physical Matte UV Defense boasts a high SPF level (SPF 50) and a unique formula that has the ability to keep your skin matte on even the hottest-of-hot summer days. The silky-smooth feeling product has a mousse-like texture that glides over skin to blur imperfections and pores (yay!) with a translucent, universal tint. The formula is weight-less on skin, yet works to keep skin matte by absorbing oils thanks to the aerated silica technology the formula is enhanced with. It hasn't gotten super hot and humid here yet, so I haven't been able to extensively test it's mattifiying claims. I have high hopes though. I love that while this is a mattifier, it's not drying in anyway and still works well on my tends-to-run-dry skin. Both products leave skin with the same perfectly smooth, ready for makeup feel and sun protection, which makes choosing just one pretty tricky. 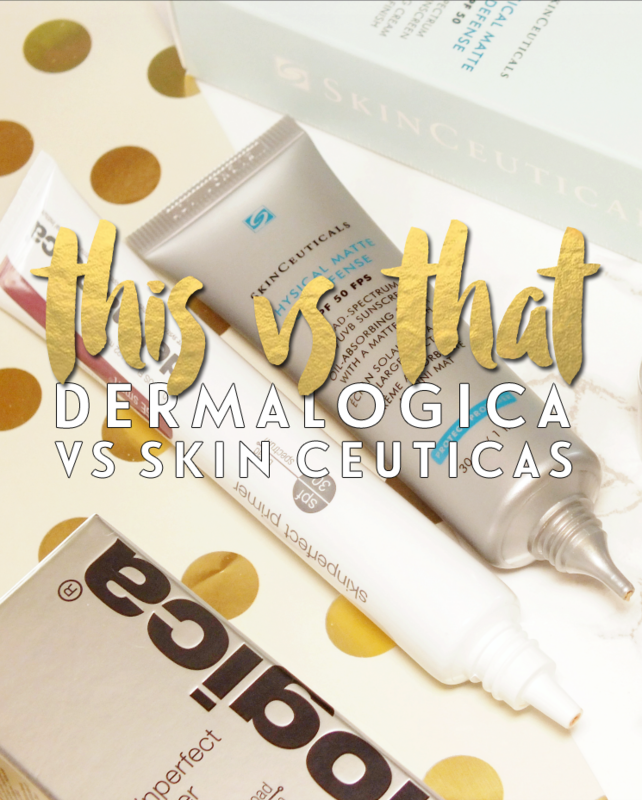 On one hand, I love that Dermalogica has the hint of crushed pearl for added radiance, but SkinCeuticals absorbs oil, has a higher SPF level, comes in a larger tube, and costs just a bit less. Since I do have to pick a winner, I'm going with the SkinCeuticals Physical Matte UV Defense, but you know what? Both products are pretty amazing and worth the space in your summer makeup bag. What do you think? Have you tried wither product?